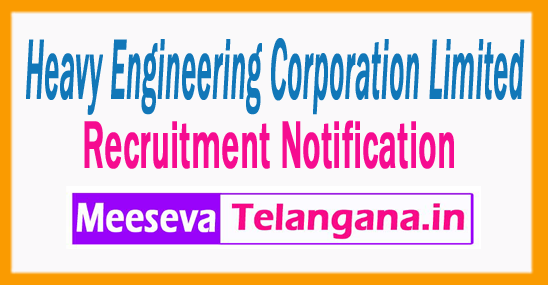 HECLHeavy Engineering Corporation Limited Recruitment Notification 2017 Engineer,Teacher The Post Of Last Date 08-07- 2017. 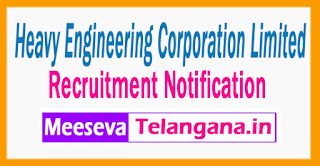 Heavy Engineering Corporation Limited (HECL ) Has Invited Application Form For 06 Engineer,Teacher. All Eligible Candidates Are Required To check Eligibility details for HECL Job Attend walkin Interview Before Or On 03 to 08-07-2017 All Candidates Who Are Applying For HECL Recruitment 2017 - 06 Engineer,Teacher, Should Check Vacancy Details Like - Educational Qualifications And Experiences Requirement, Exam Pattern, Syllabus, Age Limit, Selection Criteria, Admit Card, Results, Exam Date, Before Applying. INR Rs. 50000/- (Post 1),Rs. 17000/-(Post 2),Rs. 16000/- (Post 3). Candidates Candidates upper Age limit should not Exceed 62 Years (Post 1),40 Years (Post 2,3) As On 01-06-2017. Age relaxations will be applicable As per the rules. All job Hunters seeking through direct recruitment process are advised to Download and read vacancy notification to get aware of recruitment schedule and venue from official websitehttp(://http://hecltd.com). Aspirant must reach advertised venue and attend walkin interview on the dates mentioned below with all original document and xerox copies, filled in application formas mentioned in -08-07-2017. Room No. 4J, Ground Floor, HQRS. Administrative Building, HEC Ltd., Plant Plaza Road, Dhurwa, Ranchi-834004, HEC Headquarters, Ranchi. Date and Schedule of walkin interview-03 to 08-07-2017.